Located in Burlington Vermont, we specialize in producing & packaging premium quality extruded products for dogs and cats. Our Product Development team is available to help you bring your new product ideas to market with an emphasis on safety & quality. We are pleased to offer low minimum order size requirements to facilitate the launch of new products for our customers. 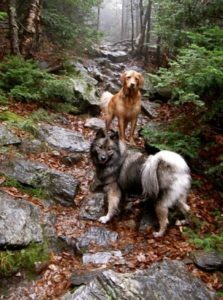 Green Mountain Animal, LLC is a complete one-stop shop for all your custom formulation needs for companion animal health products and treats. We are experts in innovative formulation and product quality with the ability to manufacture and source a wide variety of delivery options—including extruded chews, extruded sticks, tablets, capsules, powders, gels and liquids—for your unique product. As a contract manufacturer of animal health products and treats, we pride ourselves on our commitment to quality and safety throughout the manufacturing process. Contact us today to learn how we can help you create your custom animal health product or treat. Why Work with Green Mountain Animal, LLC? 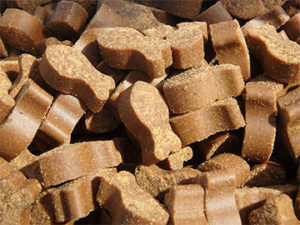 Our experienced product development team can assist you with formulating your custom products to make a product that dogs and cats will crave while working within your budget. To ensure that your products meet your standards for flavor and texture, we will make small sample batches for you to review. We know your time is valuable so we pride ourselves on our ability to make samples quickly using our small laboratory equipment and our full size extruders. Dale Metz, CEO of Green Mountain Animal, is the Vice President and a founding member of the National Animal Supplement Council. With his 14 years of experience working with the FDA and Center for Veterinary Medicine, we can help you navigate the confusing world of regulatory compliance. Green Mountain Animal has relationships with many of the animal rescue groups in our area so we have an ample supply of taste-testers to give us feed back on our flavors. The best formula in the world will not do any good if the animals will not eat it! We know that you have great ideas for your new products so our facilities allow for a variety of packaging options to suit your needs. Our equipment can handle small or large batch sizes so you do not have to make a major volume commit-ment when launching a new product. From formulation and ingredient sourcing to packaging and shipping, Green Mountain Animal does it all to provide you with a finished product that is ready to put on the store shelf.